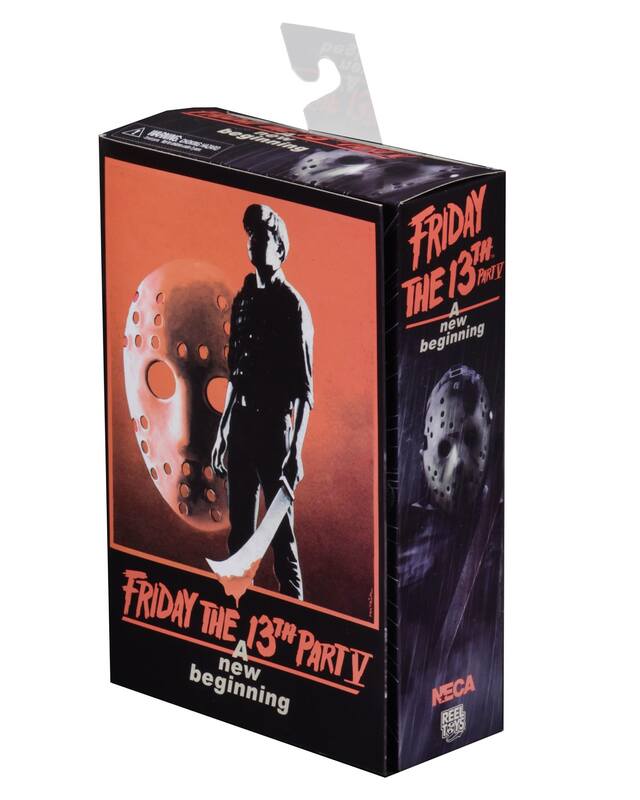 NECA ‘Dream Jason’ Is Almost Here! 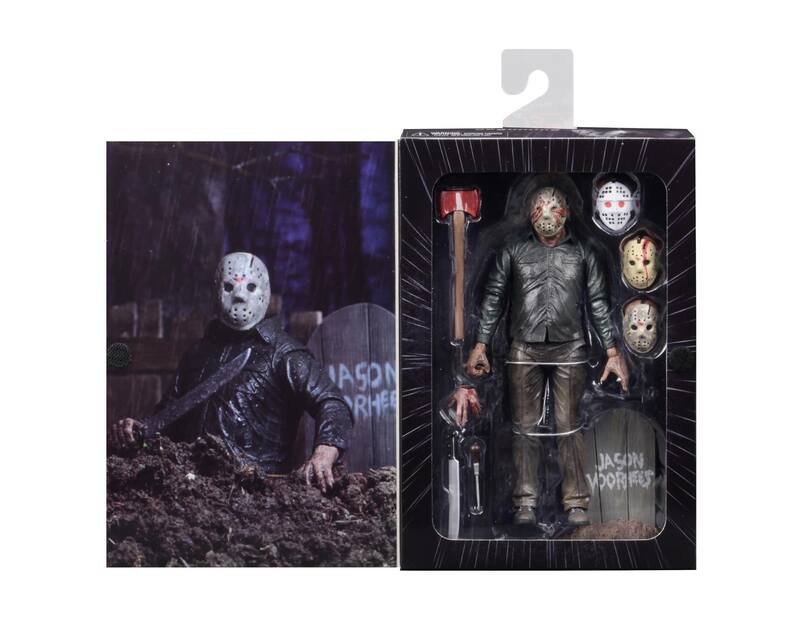 A few months ago NECA revealed that Dream Jason would be a given the Ultimate treatment. Dream Jason is from Friday The 13th: A New Beginning where Jason really isn’t the antagonist of the film but an imposter pretending to be Jason; Roy Burns. As you can see the look of Dream Jason is very much like his looks in Part 3 & The Final Chapter. Though he’s a bit grimier than those versions. I have the Part 3 & The Final Chapter Ultimate figures which are fantastic so this is a great re-use of the figure. Especially with all the accessories that he comes with! 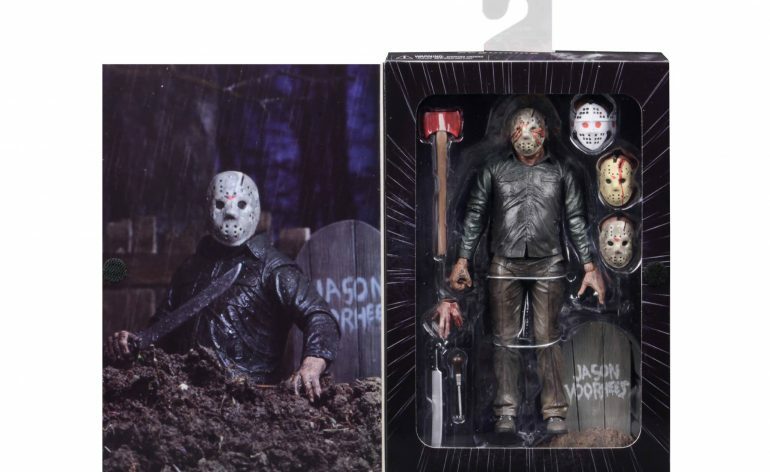 He comes with his tombstone which is ace, four heads: a bloody mask, a grave mask, a resurrection mask and a special mask which is based on the poster for the film. This is the most maks with got with a Jason figure. He also comes with a double-headed axe, machete, and an ice pick. There’s also an added extra with an interchangeable forearm for the Final Chapter Jason which has the machete wound which is a great extra. 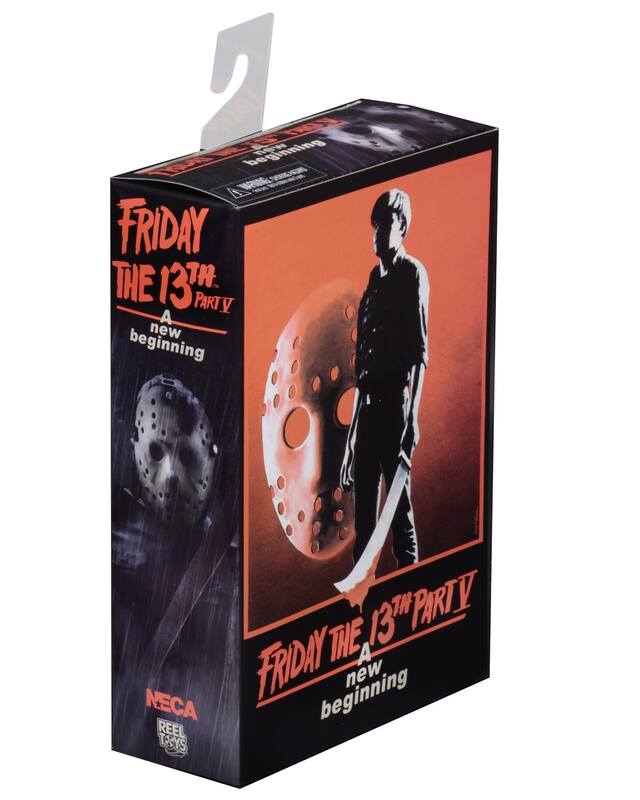 I think this is the first time NECA has done this packing an accessory for another figure. It’s a really welcome addition. It goes without saying I absolutely love the packaging, hell I’ve loved all the boxes they have done for their Ultimate Jason. This one really does stand out due to its design. 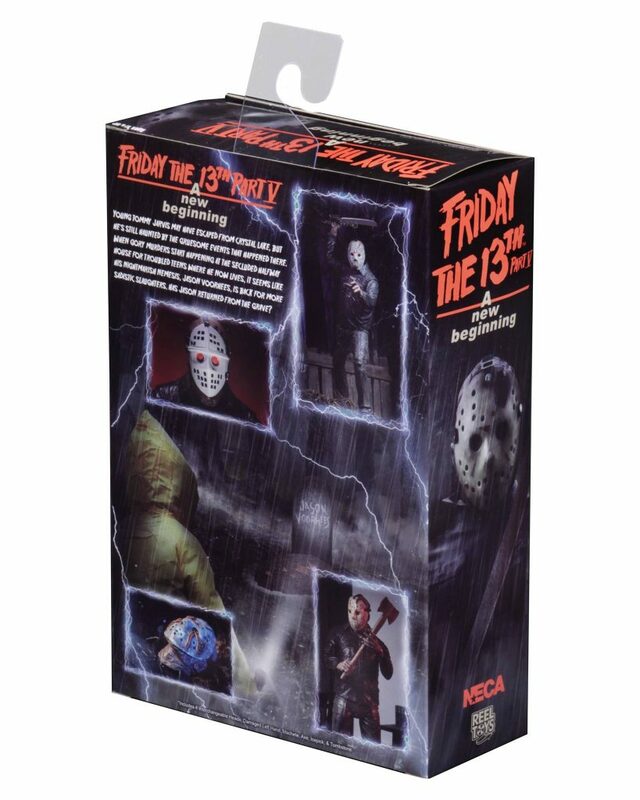 You can expect this figures to be released later this month and is a must-have if you’re a big fan of NECA’s Jason figures.